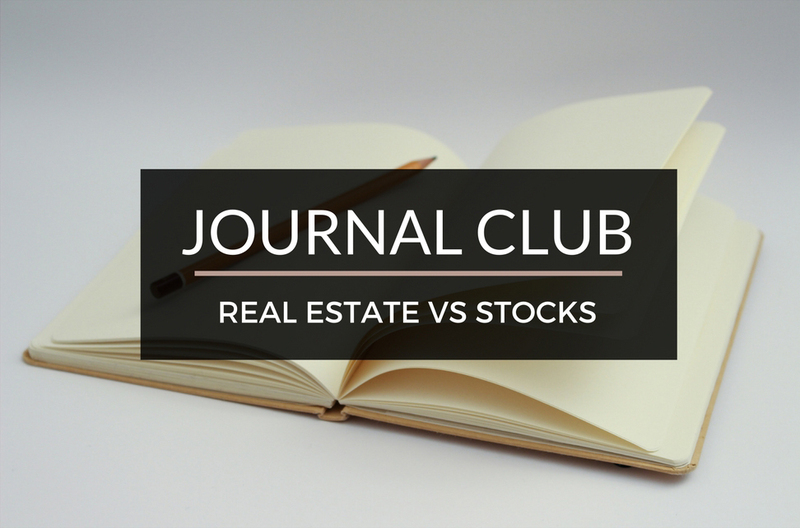 Journal Club - Real Estate vs. Stocks | Passive Income M.D. Every couple of weeks, I plan on holding a JOURNAL CLUB. A topic will be chosen, and after manually filtering through the millions of articles out there, I’ll present a few that I think are extremely helpful. This will help lay the foundation for some of the topics that we’ll delve into deeper on this website. Well, it may not be everyone’s favorite, but it definitely is mine. I don’t hide the fact that I believe that there is no other better vehicle for long term wealth creation. Should we invest in real estate or stick to the stock market? Future Proof M.D. shares his take on it in Long Term Investment Returns – A Comparison. The White Coat Investor does his comparison between the two and breaks it down in his article – Real Estate vs. Stocks – An Investing Showdown. Financial Samurai makes his argument by giving really great reasons for both in Which Is a Better Investment: Real Estate or Stocks? So take a few minutes to read these, it’ll be worth your time. Have a great weekend and I’ll see you with the next post.